Larry co-starred in the feature film Witless Protection and the film Delta Farce with Bill Engvall and DJ Qualls. His first feature comedy, Larry the Cable Guy: Health Inspector, was released by Lionsgate in 2006. The DVD sold more than 1 million copies in the first week of release. Larry is the voice of Mater in the Golden Globe winning animated feature film Cars from Disney/Pixar. Larry was part of the highly successful concert Blue Collar Comedy Tour, which grossed more than 15 million dollars. The ensemble cast of comedians included Jeff Foxworthy and Bill Engvall. The tour's success led to Blue Collar Comedy Tour: The Movie which premiered on Comedy Central in November of 2003 and at the time, was the highest rated movie in the channel's history. The sequel Blue Collar Comedy Tour Rides Again, has sold more than 3 million units and is the 3rd most watched telecast in Comedy Central's history. 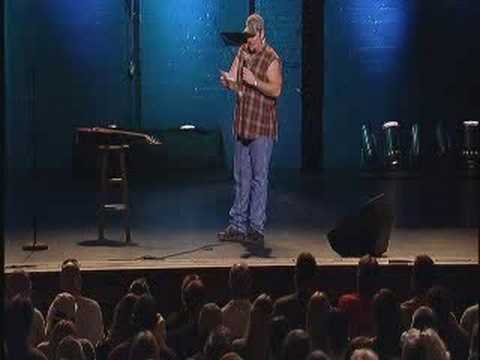 In March of 2006, the Blue Collar boys reunited to shoot Blue Collar Comedy Tour, One For The Road in Washington, DC at the Warner Theater. Larry The Cable Guy's first comedy album release Lord, I Apologize has reached gold status, selling more than 500,000 copies. The CD was # 1 on the Billboard Comedy Charts for fifteen weeks in a row. Larry's DVD special Git-R-Done, has sold more than 1 million copies and has been certified platinum. Larry also starred in Blue Collar TV, a sketch comedy series for The WB network. Larry's comedy CD, Morning Constitutions, debuted at # 1 on the Billboard Comedy Charts. His previous release, The Right To Bare Arms debuted at # 1 on the Sounds can Comedy Chart, # 1 on the Country Chart, and # 7 on the Top 200 Chart. The Right To Bare Arms also received a Grammy nomination. His first Christmas CD, A Very Larry Christmas has also been certified gold (500,000 units). Larry has won Billboard's 2005 Comedy Artist of the year and Comedy Album of the year. He is a bestselling author and his book Git-R-Done, (October 25, 2005) debuted at # 26 on the New York Times bestseller list. Larry was named to Forbes Celebrity 100 list for the second year in a row. This lists the hottest and most successful people in the entertainment industry.